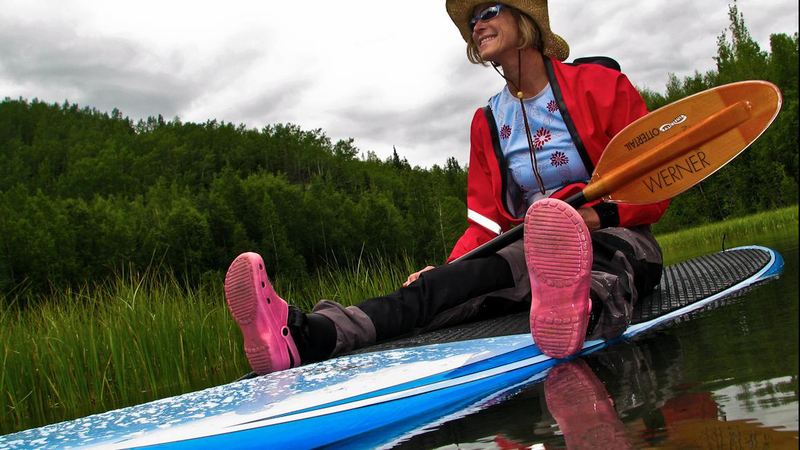 This SUP trip can be set up either as an instructional trip for beginners, or as a more advanced trip for those with experience on a paddleboard. Feel like "walking on water"? Come learn what you need to know to get started in the exciting sport of Stand Up Paddle boarding! Our Introduction to SUP course provides you with the basics to make sure your first time is a successful one. In this 2 hour flat-water session, we'll cover equipment familiarization, dry-land instruction, water safety and fundamental paddling skills. You'll learn the proper stance for balance and control, essential paddle strokes and turning techniques, as well as how to choose the right board and paddle. Courses will be held on protected calm water, and no experience is necessary. Come check it out and find out how to walk on water! 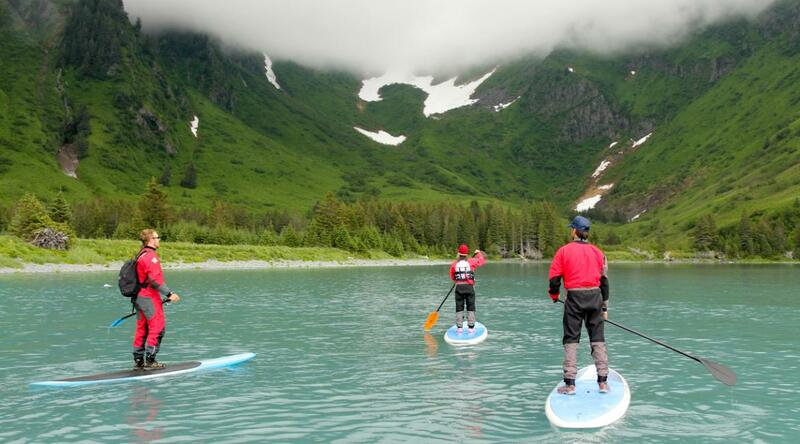 Depending on conditions, this half day SUP trip will allow intermediate to advanced paddlers a great way to explore the waters of Alaska. 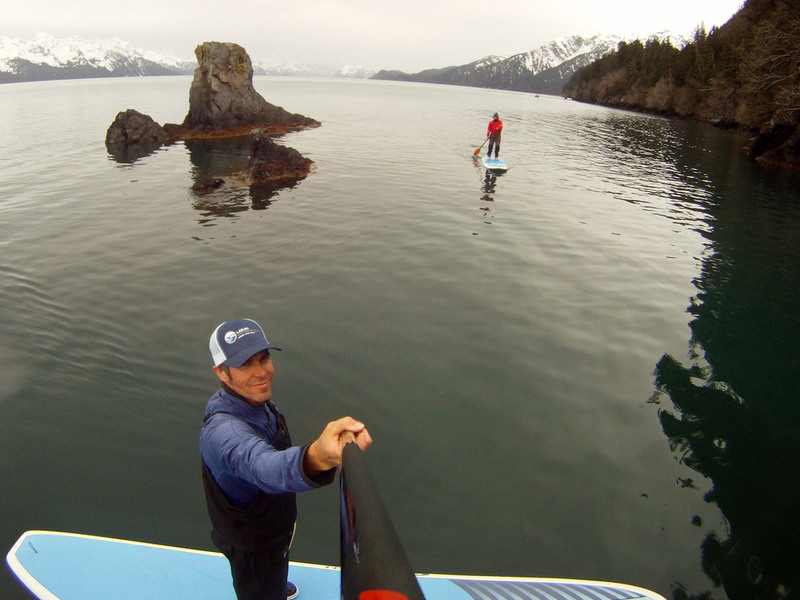 The Resurrection Bay paddle cruises the coastline close to Seward and has great opportunities to encounter seals, seal lions and otters. 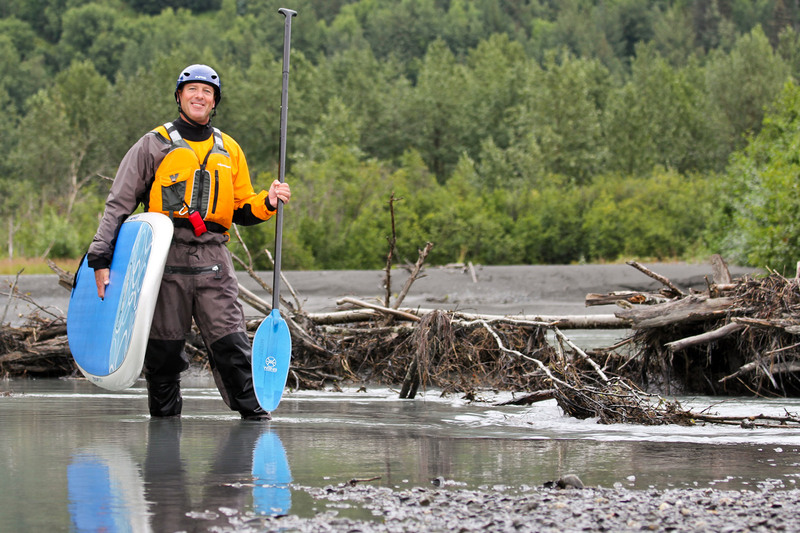 Bear Lake paddlers will enjoy mountain vistas and a beautiful Alaskan wildnerness, as well as seeing and paddling with spawning salmon returning to their home waters after years in the ocean. For advanced paddlers, this trip will define your visit to our little town. Obviously weather dependent, but our day breezes in Resurrection Bay are fairly predictable and we will choose the right place and time to start our trip. Most trips will start at the end of the road and paddle, surf and ride the wind back to the small boat harbor. ​Total trip time is 3 hrs from start to finish (approximately). Roughly 2 hours are spent paddling. Normally, groups are never larger than 6 people. If you have a larger group, feel free to ask us about a custom experience. Join us on this amazing experience! From our office, we hop into one of our vans and take a drive to our paddle spot for the day. This ride takes between 10 and 15 minutes. Hop in our van for a quick ride to our paddle spot. We'll use a small van to take our group out to our paddling location. The ride in the jetboat is roughly 10 - 15 minutes in each direction, depending on where we decide to paddle.